AUGUSTA COUNTY'S BEST HIDDEN VENUE! We have been hosting weddings and events on our over a half-century farm for nearly 6 years. Let our guests tell you themselves how wonderful their experience was! We pride ourselves in providing top-notch customer service, with a quality venue, in a relaxing and peaceful environment. Check it out for yourself. Appointments required to tour. Four Winds... how do i put into words how absolutely beautiful our daughter's wedding experience was... from the first day we drove to your venue.... the fox running through the field, the horses in the pasture and the best host welcoming us. From contract signing, to planning, to preparing, to the actual days of rehearsal and wedding.... Jennifer, you were there. Always accommodating each request, always kind and helpful. We have 0 complaints, 0 regrets, and thousands of thank you's to you!!! Every single guest commented how absolutely gorgeous your venue was. It decorated so beautifully! We couldn't possibly be happier! !! Thank you for letting us steal away to your amazing venue! We will cherish this weekend for a lifetime! Blessings and success to your homeplace! My husband and I had our wedding there this past Saturday (02Sept). It was an incredible experience. Jennifer checked in multiple times to make sure we had everything we needed and even brought us an iron, ironing board, and starch from her own house. She was incredible to work with in the weeks leading up to the wedding as well. We did everything from a distance and had many hands involved from our wedding planner to our parents and she worked with all of them wonderfully. 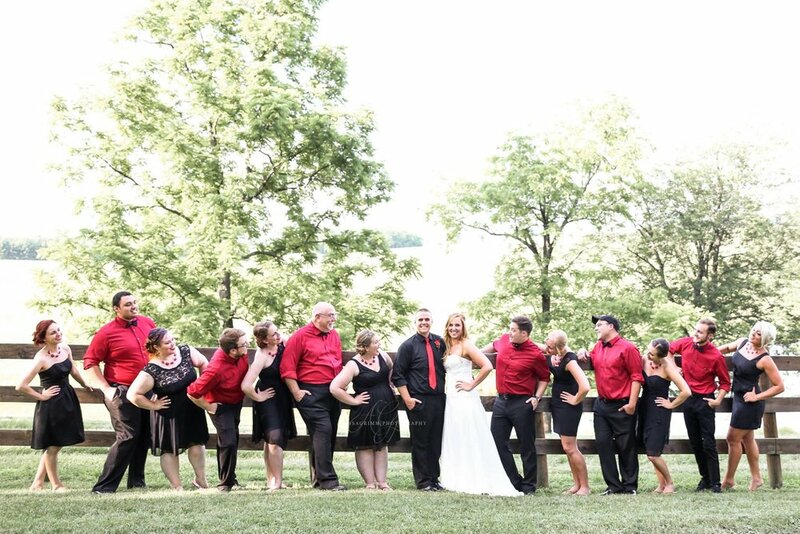 The entire staff of Four Winds made sure everything on the wedding day was perfect. It was a cold and rainy day but they worked to make sure we were all warm and comfortable. I truly appreciate everything they did to take all worry from my mind and help to create a weekend we will never forget. Four Winds and the owners are absolutely wonderful! My daughter's wedding there was out of this world. The venue was perfect and the view was unbelievable. I could get married there everyday! ***** hospitality! ! !